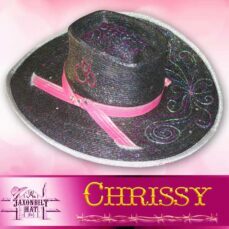 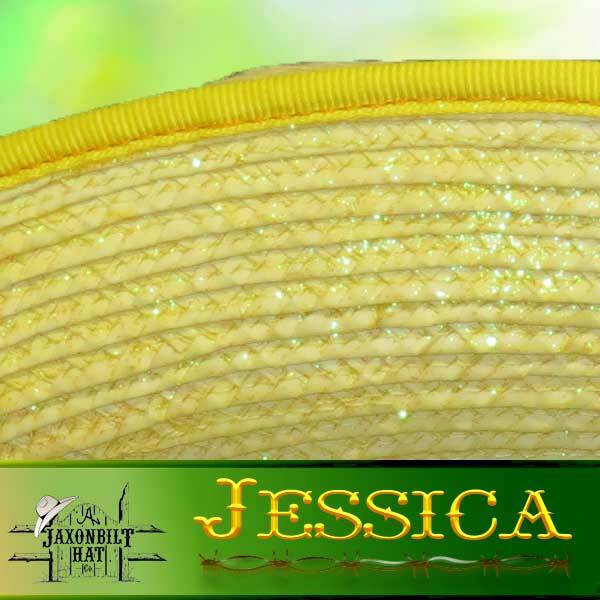 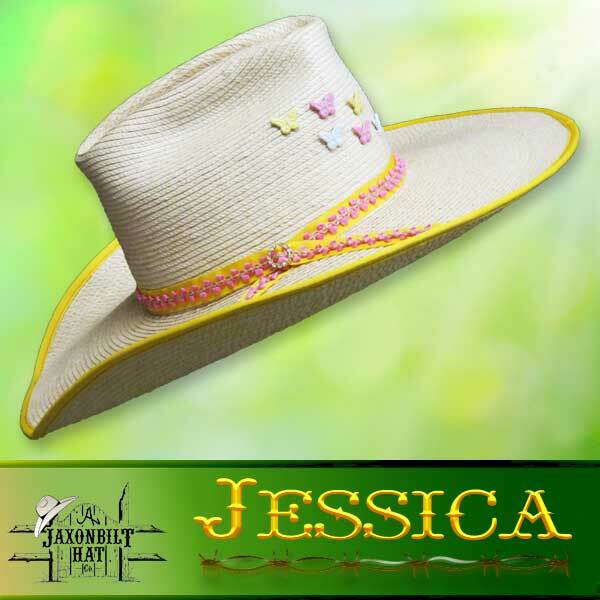 “Jessica” A bit more traditional in shape but, a hat with plenty of style. 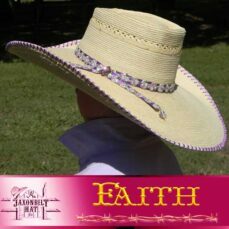 A nice 4 inch brim and a cattleman crown. 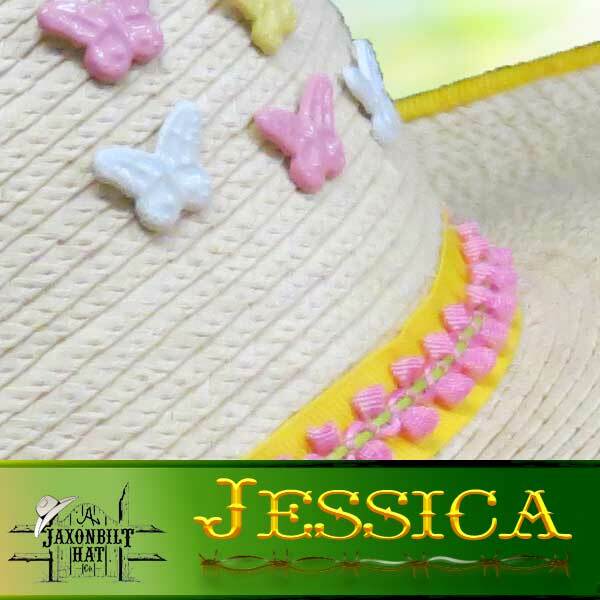 Dressed up with butterflies, any young lady would be proud to wear this little hat.